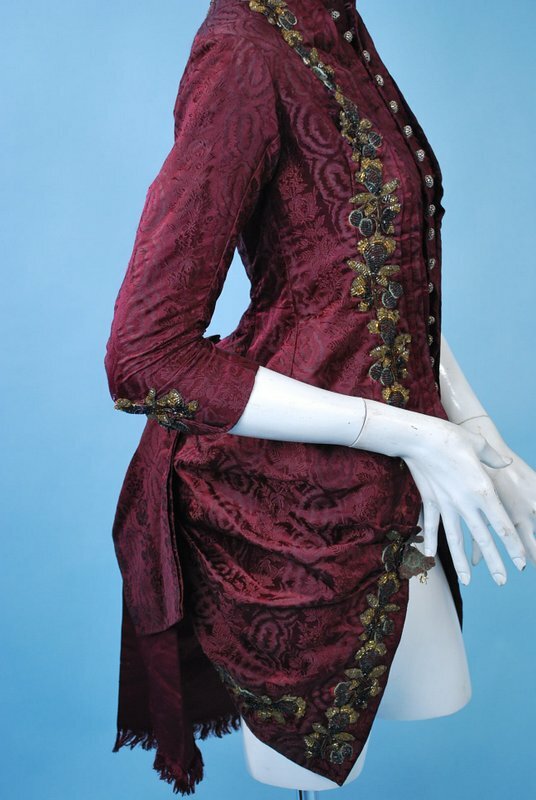 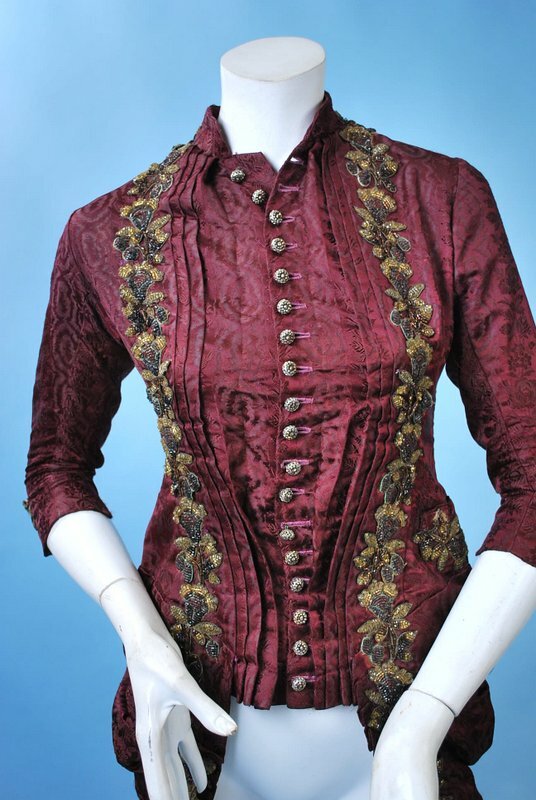 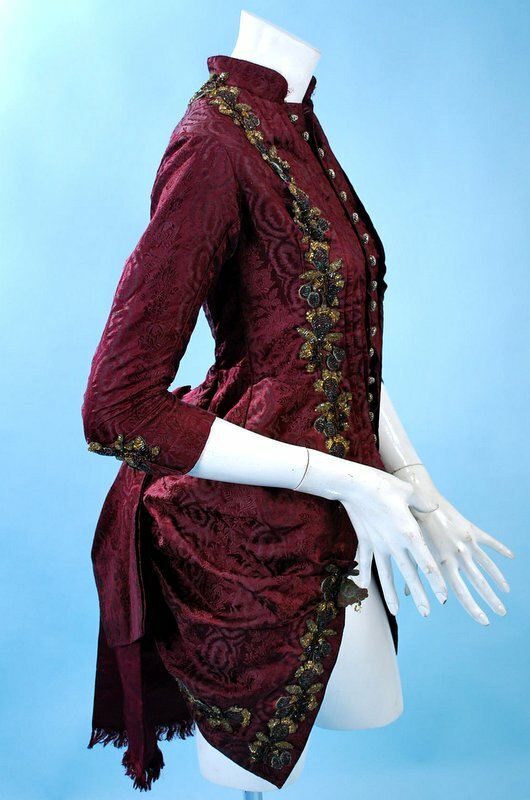 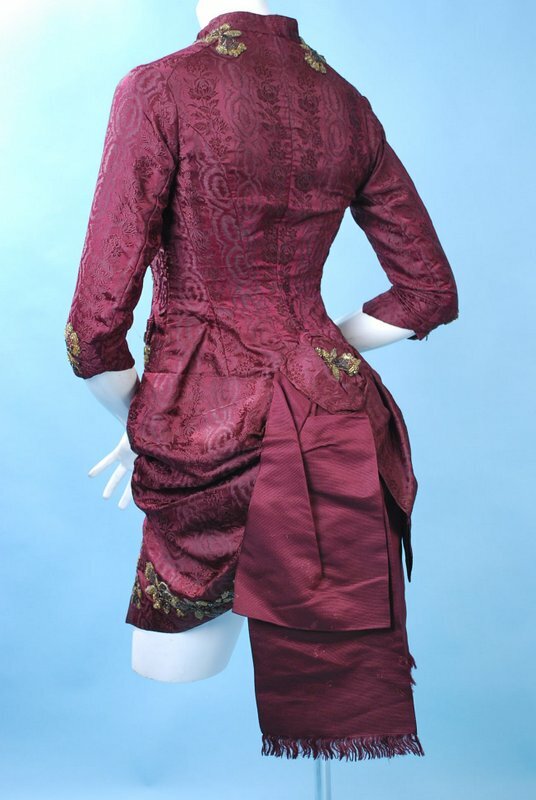 Plum garnet silk brocade draping bustle jacket dating to the 1880's, sadly no skirt. 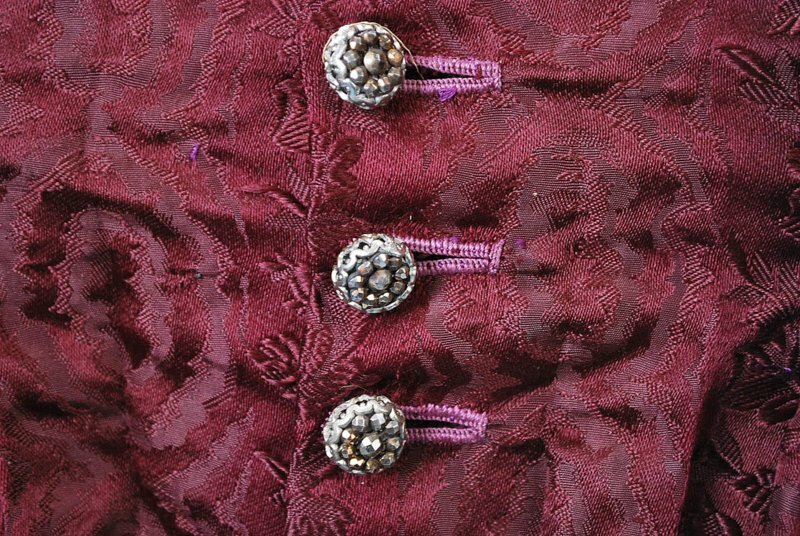 Front button closure, stayed and lined interior. 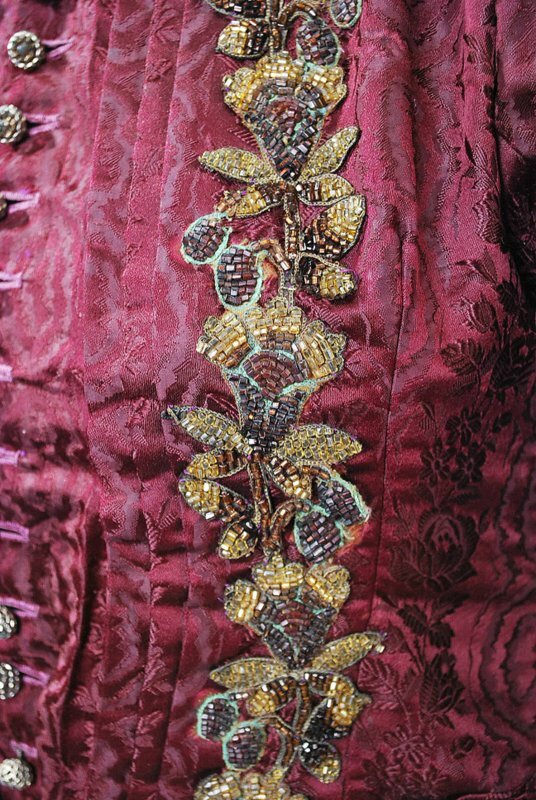 Applique beadwork, ribbon trimmed bustle back. 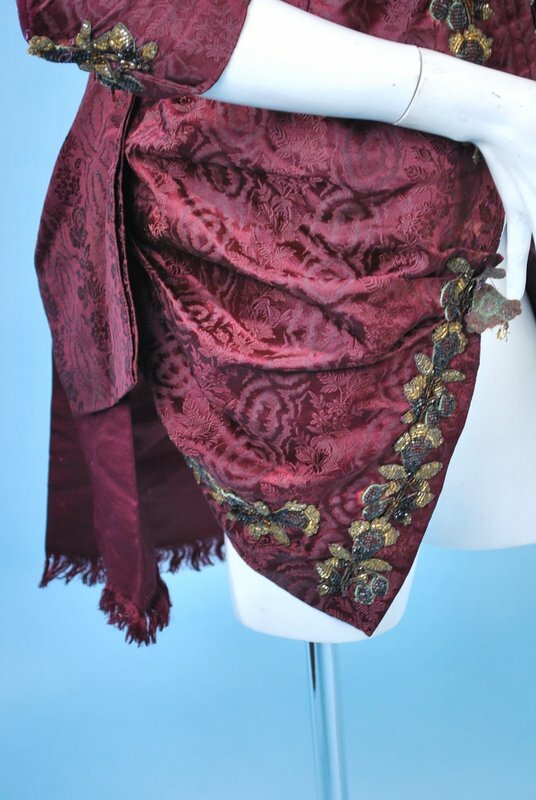 In good antique as found uncleaned condition. 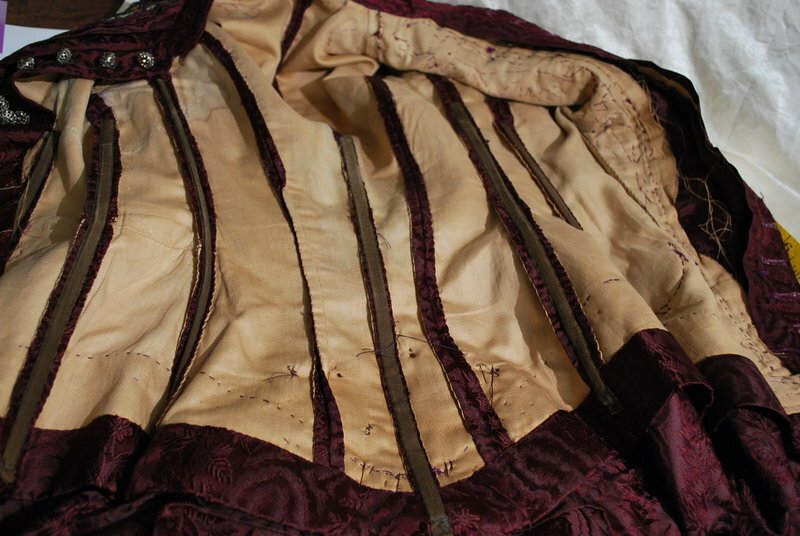 Chest measures 34", waist 26", sleeves 16", length 35", narrow thru shoulders back seam to seam 13".